The XF family of power supplies provides up to an incredible 1000W in an extremely compact 1U x 268 x 127mm package. Employing an innovative plug & play architecture this AC/DC power supply brings unprecedented flexibility that allows users to instantly configure a custom power solution in less than 5 minutes. The new model, the XFN, is designed to deliver 1000W at –40°C thus complimenting the other products in the XF range which operate to -55°C. Designed for use in harsh operating environments, the XF family is conformal coated and ruggedised to withstand extremes in shock and vibration as well as operation over a wide temperature range of -55 to 70°C. 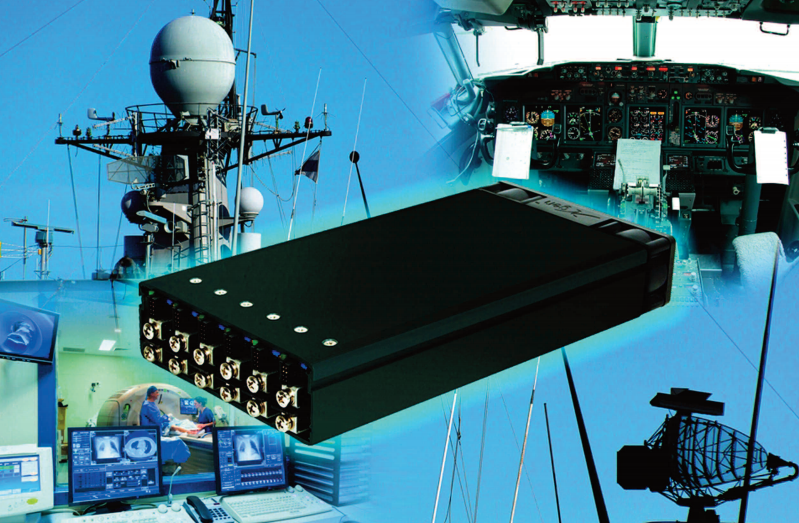 Applications include Harsh Industrial, Test and Measurement, Communications, Fixed and Mobile Radar and Military Electronics which require COTS solutions. All configurations carry full safety agency approvals, including UL60950 and EN60950 and are fully characterised for EMC according to MIL-STD-461F. All configurations meet the MIL-STD-810G standard for shock and vibration. EMC characterisation, Shock and Vibration.